The tiny pineal gland is responsible for producing several hormones, including melatonin, which regulates sleep-wake cycles as well as some reproductive functions. The pineal gland is a small organ located at the back of the base of the brain, near the top of the brainstem. It’s responsible for producing several hormones, including melatonin, which regulates sleep-wake cycles as well as some reproductive functions. 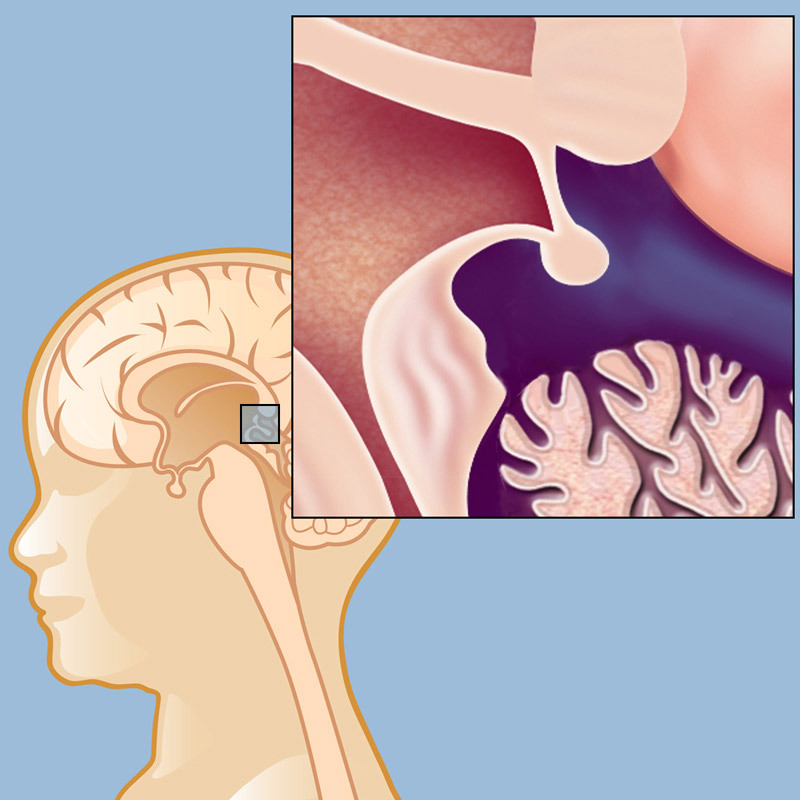 Tumors of the pineal region are rare, but they occur more frequently in children than in adults and are most likely to be detected during the teen years, although they can also be diagnosed in middle age. Germ cell tumors are the most common tumor of the pineal region (although they are still rare). They are not related to the pineal gland itself and are thought to arise from abnormal development of an embryo during pregnancy. These tumors may be benign (including teratomas), malignant (including endodermal sinus tumors, embryonal cell tumors, and choriocarcinomas), or in many cases mixed. Pineal cell tumors arise from the pineal gland itself (pineal parenchymal tumors) and are even more rare than germ cell tumors of the pineal region. About half of them are malignant (pineoblastomas) and most of the other half are benign (pineocytomas). Less frequently, the tumors are classified as intermediate grade, meaning that they share features of both malignant and benign. Other rare, but notable tumors of the pineal region include developmental cysts (epidermoid cyst), papillary tumors of the pineal region (PTPR), and glial neoplasms (astrocytoma). Pineal region tumors are rare. The most frequent growth in the pineal region is a pineal gland cyst, which doesn’t cause symptoms and requires no treatment. What Causes a Pineal Region Tumor? Nobody knows for sure, although there does not seem to be a genetic component (that is, pineal region tumors do not run in families). Germ cell tumors probably develop from material that got “misplaced” during fetal development, but pineal cell tumors are likely to be spontaneous and unexplained growths. Brain tumors of the pineal region are complex and should be treated at a major medical center with advanced facilities and capabilities, by highly trained specialists with expertise in treating these tumors (see Doctors Who Treat Pineal Region Tumors).